Photosynthesis is the method by which plants create energy (or fuel) from water, sunlight and carbon dioxide. Creating an artificial system that mimics this process is the focus of a joint venture between Harvard University and Harvard Medical School. This has resulted in the creation of a ‘bionic leaf’ capable of producing energy-dense liquid fuels. 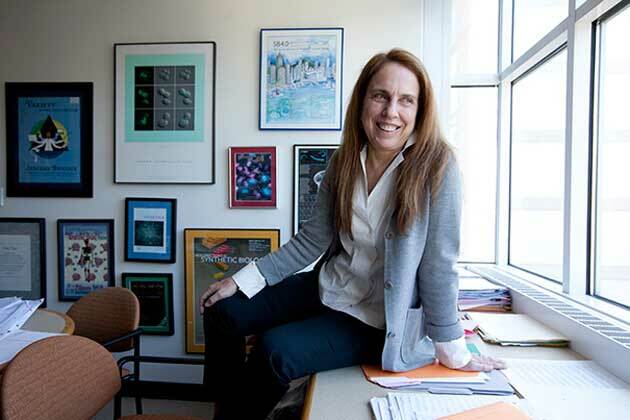 Daniel Nocera, professor of Energy Science at Harvard University pioneered the use of artificial photosynthesis and is now working with Pamela Silver of Harvard Medical School on producing an artificial system which outperforms photosynthesis itself. 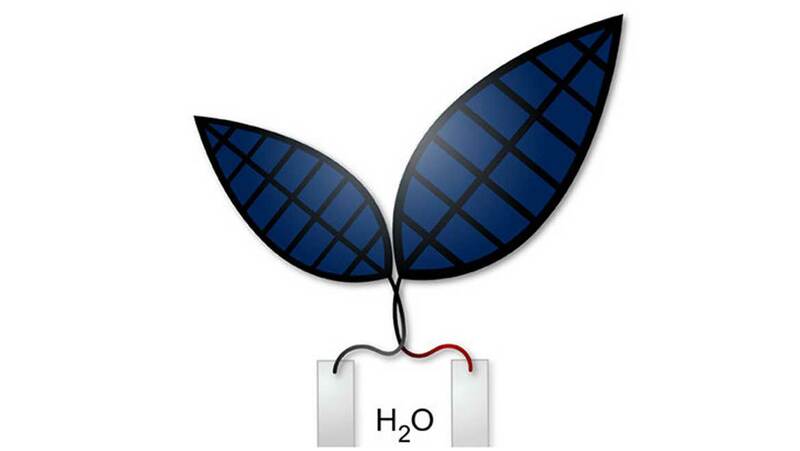 The bionic leaf works by converting the sun’s rays into electricity, via a solar panel. So far, so normal. But this is where it gets interesting. Next, the electricity travels to a glass vial where immersed in liquid, a water-splitting catalyst and the soil bacterium Ralstonia eutropha are waiting. Once the water has been split into oxygen and hydrogen, the hydrogen is fed to Ralstonia eutropha bacteria, along with carbon dioxide. The bacteria has been bioengineered to possess specific characteristics, and it then converts the carbon dioxide and hydrogen into liquid fuels. So far, the bionic leaf has produced isopropanol, isobutanol and isopentanol, but the team has also discovered that it’s possible to also produce a molecule that can be used in bio-plastics. Whilst several companies are already using bacteria to produce biofuels from carbon dioxide and hydrogen but the key difference is that the bacteria in those instances consume carbon monoxide or carbon dioxide as opposed to the combination of carbon dioxide and hydrogen used by the bionic leaf. The result is that the bionic leaf is capable of operating at lower temperatures, higher efficiency and crucially for a process they hope to use commercially, lower costs. Incredibly, the team’s bionic leaf is actually more efficient at converting energy from the sun than its inspiration, natural photosynthesis itself. The bionic leaf runs at an efficiency of 10% using pure carbon dioxide. In comparison, natural photosynthesis runs at about a 1% conversion of solar energy to the carbohydrates used by plants. The pure carbon dioxide used in Nocera’s system is captured from the air, resulting in a potentially carbon-neutral process. In comparison to the 10% efficiency that results from using pure carbon dioxide, if the bacteria capture carbon dioxide from the atmosphere themselves, at a lower concentration, the efficiency is still 3 or 4% which is still significantly higher than natural photosynthesis. Rivals of Nocera who also work on similar systems, say the high performance of this particular system is unparalleled to date. This fantastic efficiency is in part due to Nocera’s decision to combine two usually separate fields: inorganic chemistry and biology. This hybrid approach combines the best of both aspects of science to split water (inorganic chemistry) before converting hydrogen and carbon dioxide into energy (biology). The efficiency is also increased due to the improved light harvest generated by the solar panels, which act like an amplifier to increase the energy made available to the bacteria. Something else that puts the bionic leaf ahead of the rest of its competitors is the fact that it’s made of cheap materials, it operates at neutral pH and it can be powered by standard solar panels. It’s likely to be quite some time before the technology is commercially available but the exciting prospect of using artificial photosynthesis to create fuels to power the future. Nocera also suggests that in a commercial situation he envisages carbon dioxide emissions which are usually released into the air from power plants and the like, could be used to power the process. The potential of the bionic leaf is immense. Whilst it may not fully replace the extensive pipeline infrastructure that serves our fossil fuel industry, it could well be used to provide a mobile and cheap form of energy in countries that don’t have such an extensive existing infrastructure. One day, these bionic leaves might just be as prolific as the real thing.